BAI and IJDH work to protect the right of Haitians to select their government through fair elections. Using public advocacy and legal analysis, IJDH works to ensure that the international community has credible information about Haiti’s political situation, and that the rights of Haitian voters are prioritized in discussions and policy. BAI collaborates with grassroots groups and rural communities to help insert human rights issues into the campaign and promote candidate accountability. IJDH and BAI also use election monitoring to gather and disseminate real-time information on the progress of elections in Haiti. 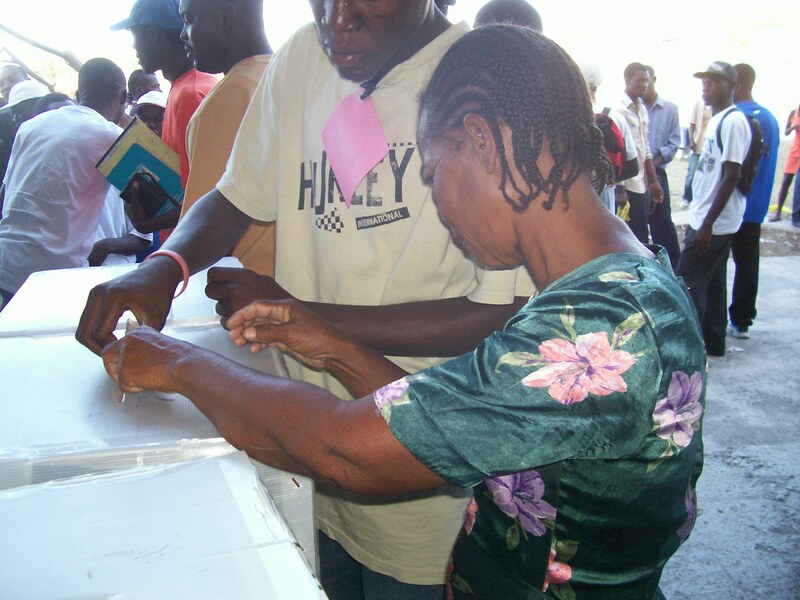 For the latest elections news, analysis and information, see the Haiti Elections Blog. The administration of President Michel Martelly came to power in 2011 through deeply flawed elections with outsized involvement by powerful countries outside Haiti. This administration proposed several Provisional Electoral Councils (CEPs) to oversee elections between 2012 and 2014, none of which met constitutional requirements, and none of which were approved by Parliament. As a result, no elections have been held since, though legislative elections were constitutionally required in 2011 and 2013. As a result of these election delays, the terms of all but 10 members of Parliament expired on January 12, 2015. With Parliament unable to act, President Martelly began governing without parliamentary oversight, in violation of the Haitian Constitution. A new CEP, regarded by most stakeholders as credible, has been established to administer presidential, legislative and local elections scheduled for three dates in 2015: August 9, October 25 and December 27. In these elections, Haitian voters will elect over 5,000 public officials, including a new President, 20 Senators, 118 Deputies and thousands of local officials. Haiti Elections Blog – expert analysis of recent developments, legal resources, voting resources and fact check. As Haiti Political Crisis Deepens, International Organizations Reducing Aid Just as the Country Needs It Most – Alternet, March 25, 2016.